Like me, you probably long to be a more positive, proactive parent. I know I’m always looking for a way to be more proactive and less reactive. Especially in those overwhelming periods when all that keeps me going is tea, adrenaline and the blind hope that I’m somehow moving in the right direction. In those moments, we all tend to lose perspective. I know when I’m lost to overwhelm, I end up fixating on my own fears and feelings as a parent, instead of focusing on the needs of my child. But my kids deserve more. So, I’ve learned to dig deep and examine my own mindset. I’ve asked myself some hard questions to regain perspective and find a more positive and proactive way forward for me and for my kids. Here’s 10 ways you can do this too. Get real with yourself and identify your fears. To stop the endless cycle of reactive parenting, you need to identify what scares you as a parent. This helps you understand what’s driving your reactions and behaviour. Answering this question helped me understand why I reacted in certain ways and made me more aware of my own behaviour with my kids. Understand the expectations you hold as a parent. It’s important to understand the expectations you hold and acknowledge the pressure these expectations place on you. In my case, my expectations of parenting were unrealistic. I had to accept I couldn’t do it all and that was okay. When I understood this, I became less reactive and more proactive as I let go of unnecessary pressure. Be willing to question your ideas on parenting. Each child is different and no single parenting style works for every child. Instead of fixating on how YOU want to parent (and feeling like a failure when that style doesn’t work), you need to be willing try something new. I had to accept this after two of my kids were diagnosed with special needs. I had to change my parenting to better suit their needs and be the parent they needed me to be. Reclaim your pre-parenting identity. 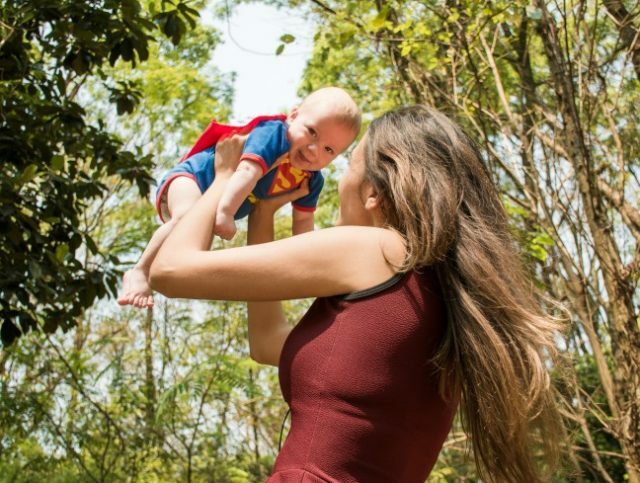 It can be easy to lose your own identity when you’re focused on being a parent. This can have a negative effect on your mindset and on your relationships with your child. Reclaiming myself, through playing tennis, helped me become more confident, positive and proactive, which flowed through to my kids. Consider taking up old pastimes, hobbies and sport to give yourself a boost too. Don’t feel guilty for taking time out. It took me a long time to realise that having “me time” was a good thing for my whole family. Taking time out to pursue your own interests or just to have a break will re-energise you and help your parenting. If you don’t get the chance to rest or breathe, you will burn out and be overwhelmed. Never feel guilty for proactively looking after you. Consciously take steps to lessen your anxiety. It’s easy to get swept up with anxiety as a parent but it’s important to do what you can to lessen the load. One practical way to do this is to identify what you need to worry about right now (the knowns) and do your best to ignore the rest (the unknowns). Don’t add to your worries unnecessarily by worrying about things that may never eventuate. Trust me, it’s not worth it! Take the time to listen to your child. As a parent, you exert so much control over your child’s early years that it can be easy to forget they are an individual. I’ve learned (the hard way) to take the time to listen to my kids and get to know their views so I can make better decisions on their behalf. It’s such a simple, proactive step, yet so easily overlooked. Understand this is not about you. Parenting is not about you (despite the misleading moniker). It’s about your child. The job of a parent is to guide, love, support and nurture children to adulthood. You can’t live FOR them and your own expectations, fears and mindset shouldn’t dictate their life experience. Once I came to this realisation, I finally became the positive and proactive parent my child needed me to be. Because I was finally acting for them, rather than for me. 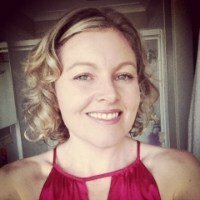 Hi, I’m Kirsty, a mother of 3, wife of a big kid, writer, carer and blogger. I always have way too much on my plate but I am learning to juggle with the best of them! At My Home Truths I vent, laugh at myself, talk about autism, albinism & special needs parenting and encourage other parents to view life with more positivity. My aim is to assist those new to the special needs world so they can find the resources they need to help their kids, while not forgetting to help themselves too. You can find me on Facebook, Twitter, Instagram & Pinterest.